Illinois is the sixth most populous state in the country, home to Chicago, the third-largest city, and the capital of many industries. But it also has one of the bleakest financial outlooks of any American states. Illinois’ persistent financial problems are compounded by population loss, a weak jobs outlook, and sluggish growth. How does this dark reality impact Illinoisans and their families? Illinois has a poverty rate of 13% and an unemployment rate of 5.9%. 7.1% of Illinois households are unbanked. 34% of Illinois children live in single parent homes. Illinoisans of color are two to three times more likely be impoverished. Where you find poverty, you will find predatory actors seeking to take advantage of those that are desperate. Who targets on these financially depressed communities? Predatory lenders. Namely, payday and title lenders. Average Credit Card Debt and Median Household Income in Illinois vs. the U.S.
As we’ve explored elsewhere, payday and title lenders are brick-and-mortar, or online, financial service providers who offer a predatory product designed to trap borrowers in cycles of debt that are difficult to break, drain money from local communities, and can even result in the loss of major assets—like borrowers’ cars. A payday loan is a small dollar (typically less than $1,000) loan for a short term (typically 2 weeks) offered at an extremely high interest rate (400% APR is typical). This toxic combination of high interest rates and short terms means that these loans are extremely difficult to repay, often leading to a cycle of loan renewals (or “rollovers”) that extend the life of the loan at the cost of additional fees and interest. Approximately 70% of Chicago’s 125 payday lenders are located within a mile of areas where the per capita income is less than the city average of $28,500. And that’s just in the city. Payday lenders in Illinois know where to open shop to better target those who need cash the most. The typical payday loan borrower in Illinois has a monthly income of less than $2,600, which makes paying back the loan even harder. The state of Illinois has worked to improve consumer protection against payday loans, but there is still a lot of work to be done. In 2011, the Governor of Illinois wrote the Payday Loan Reform Act into legislation to protect consumers. 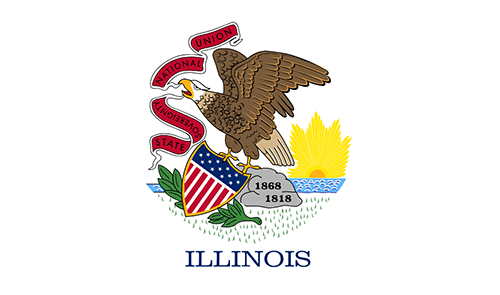 Under the new law that began on March 21, 2011, Illinois consumers are protected from unlimited roll-overs and payday loans must be based on a borrower’s ability to pay. The Illinois Department of Financial and Professional Regulations (IDFPR) maintains a database of all payday loans in Illinois. All lenders are required to check the database before a new loan is issued to a consumer. Illinois legislators hope that the database will help to eliminate some of the abusive practices of payday lending. Additionally, the Consumer Installment Loan Act caps rates for nearly every short-term credit product in Illinois—except for payday loans, which operate under a separate statute. This Act works to break the cycle of debt caused by refinancing payday loans in Illinois. For loans with terms of 6 months or less, the existing rate cap is $15.50 per $100 borrowed. Any borrower choosing a payday loan in Illinois also needs to be out of debt after 180 consecutive days of indebtedness. And, for loans with terms of 6 months or more, the Act caps rates at 99% for loans with a principal of less than $4,000 and at 36% for loans with a principal of more than $4,000. To help consumers stay out of the endless cycle of debt, new laws have been enacted to prevent the extension of payday loans past a reasonable time frame for paying off debt. And, despite new legislation, avoiding payday loans is still recommended—there are better options. Title loans in Illinois are just as bad as payday loans. Illinois is one of only 16 states that allow title loans, and no matter how you slice it, these loans are a horrible option for consumers. In 2009, the Illinois Department of Financial and Professional Regulation (IDFPR) announced new auto title loan regulations to regulate Illinois title lenders. These new regulations were developed to better protect consumers from predatory lenders. Working with the Joint Committee on Administrative Rules (JCAR), consumer groups, and the industry, IDFPR revised rules to strengthen the repayment and lending provisions of title loans in Illinois. According to the IDFPR, many title lenders in Illinois take advantage of consumers by manipulating payment schedules to trap them in an endless cycle of debt. The goal of these new restrictions is to further protect consumers by requiring lenders to engage in sound business practices—ending balloon payments. Between 2006 and 2012, the average title loan amount was $785 per consumer, with an average of 5.8 loans per consumer. In Illinois, interest on title loans can reach up to 300%, with an average of 212%. Almost 100,000 title loans in Illinois in 2011 had interest rates of 300%. Most borrowers will renew their car title loan eight times, while their required payments balloon out of reach. The principal amount of a title loan may be no more than $4,000 and no greater than 50% of the consumer’s gross monthly income. No balloon payments are allowed—title loans must be repayable in substantially equal installments. Title loans must be approved by a statewide database that went into effective October 1, 2009. 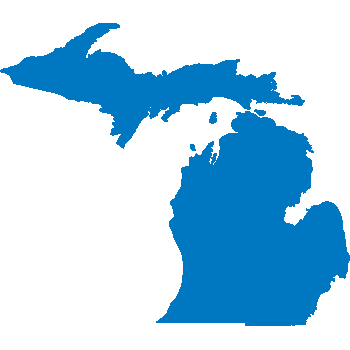 A title lender in Illinois must not may any loan to a borrower who has had a title loan outstanding within the preceding 15 days. Any notice of delinquency or default will be sent or given to the consumer and must contain the IDFPR hotline telephone number. Title loans can only be refinanced when the principal has been reduced by at least 20%. No title lender may repossess a car and lease it back to the consumer. A title lender may not take a security interest in any property other than the consumer’s vehicle. The Illinois House Committee’s vote to improve protection by capping interest is merely a stumbling block for legislation. Advocates continue to work on regulating car title loans in Illinois. By pushing for a 36% annual rate on title loans, advocates hope to further protect consumers from the predatory ways of title lenders in Illinois. To date, 31 states have outlawed title loans altogether, but not Illinois. Payday and title loans are a blight on Illinois. They attack the financially vulnerable and rob local economies of capital—particularly communities of color. If you are thinking about taking out a payday or title loan in Illinois, think again. And, if you’ve already taken out a payday loan or title loan, there are options for help. By familiarizing yourself with the rules and regulations of payday and title loans in Illinois, you can further protect yourself from predatory lenders. Harassment and a lack of truthful information can be misleading and is against Illinois Law. If you need to file a complaint against a payday or title lender in Illinois, visit the Illinois Division of Financial Institution and Professional Regulation website’s complaint form. Once you fill out the form, submit it online or print and send it to IDFPR. Illinois People’s Action (IPA) is also working to provide further outreach against the predatory ways of payday and title loans in Illinois. IPA provides helpful documents to guide you through payday loans, title loans, and alternative options. The IPA is organizing to protect consumers from predatory car title lending and payday lending in Illinois. Illinois Advocates continue to fight payday and title lenders, but they won’t go down without a fight. In 2011, payday lenders fought back against Illinois law to protect consumers, but lost the initial bid. The Illinois Payday Loan Reform took hold in 2011 as well as the Consumer Installment Loan Act. While these rules and regulations help in protecting consumers, the battle is far from over. Each year, Illinois Advocates fight to bring more restrictions to these predatory lenders, while hoping to make payday loans and title loans illegal in Illinois. You know payday and title loans in Illinois are a problem. But what about at the city level?